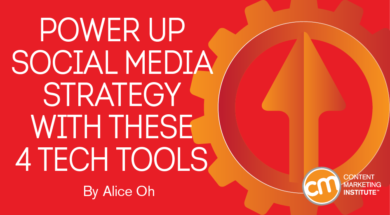 Alice Oh is a digital marketing specialist at MarketPro, Inc. She is a marketing enthusiast who writes about the constant transformation and trends that occur in the digital marketing space, and is intrigued by the rapid integration of technology. She is always eager to learn about the latest developments, and how they impact CMOs and the evolving marketing landscape. Follow her on Twitter @AliceOh_. The massive amounts of social data, growing number of demands and requests from customers through social platforms, and evolving best practices make it easy for marketers to get overwhelmed. However, advancing technology is creating ample ways for brands – regardless of the size of their teams – to reach and grow their audiences on social media. It can sift through the data faster than any human can, filtering the most relevant information, and converting it into valuable insights for marketers to use in real time. But with a wealth of tech tools available, how do you evaluate which solution is best? Let’s look at how four social media management tech tools give huge benefits and growth potential in an oversaturated tech space.